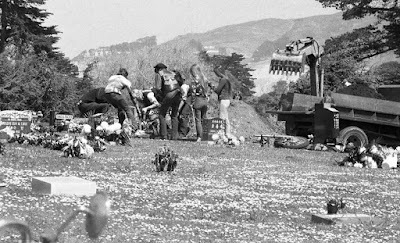 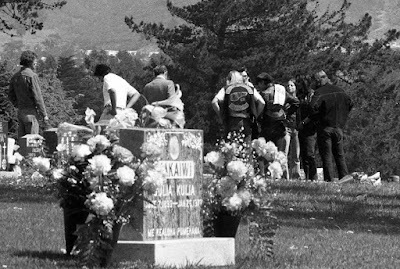 On Jan. 15, 1977, Harry “the Horse” Flamburis, president of the San Francisco chapter of the Hells Angels, was laid to rest at Cypress Lawn Cemetery in Colma days after being killed in his Daly City home with his girlfriend. 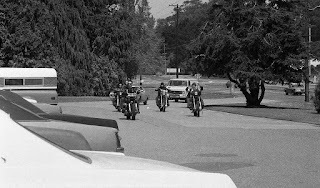 Three months after the funeral, his beloved Harley-Davidson was buried with him. 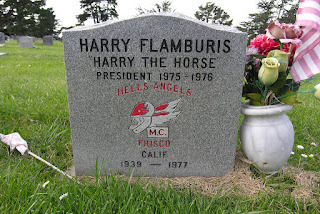 Flamburis was a charismatic leader. 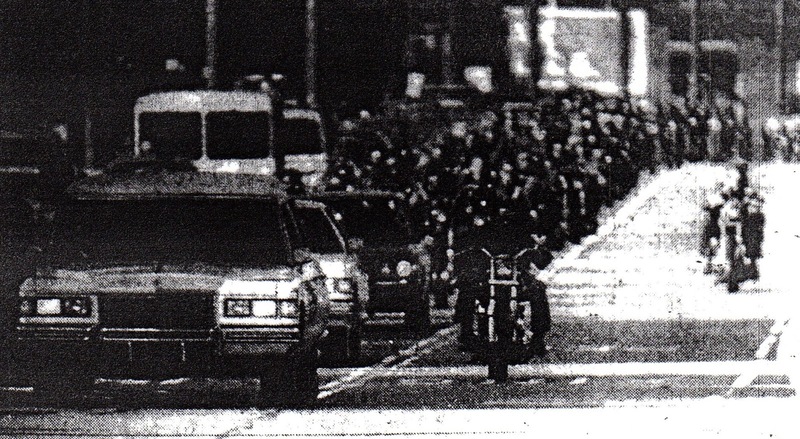 More than 175 members formed a lengthy procession down Dolores Street on the way to his funeral. But the Hells Angels weren’t done.